Today was our first dive day of the trip and we couldn’t have had a better start. Our first 2 dives were at El Canyon. On the first one, our check-out dive, as soon as we got in the water, a group of five dolphins showed up and with them was the baby dolphin that we have been seeing on the last couple of trips. After the dolphins, we saw a couple hammerheads and three mantas that were swimming around us all the way to the safety stop. The visibility was around 80ft and temperature 74˚F. 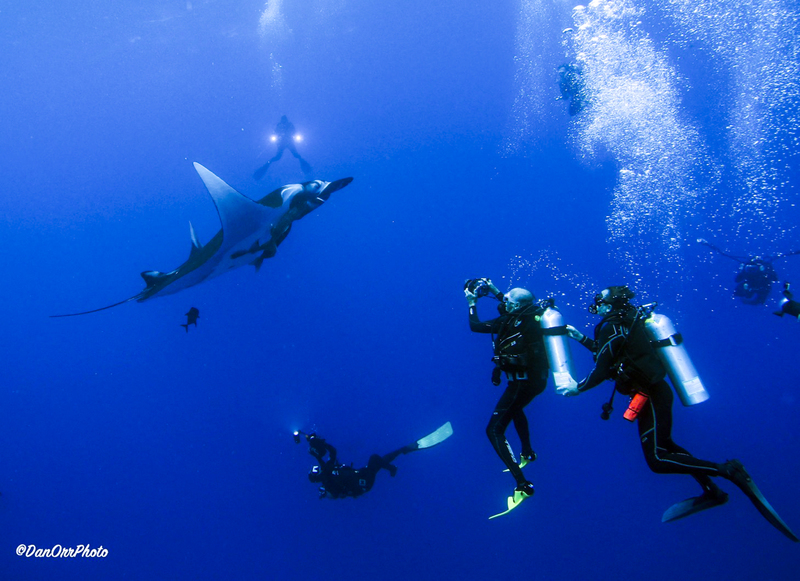 In the afternoon we moved to The Boiler and all of the divers enjoyed two 1-hour dives with six very friendly mantas. 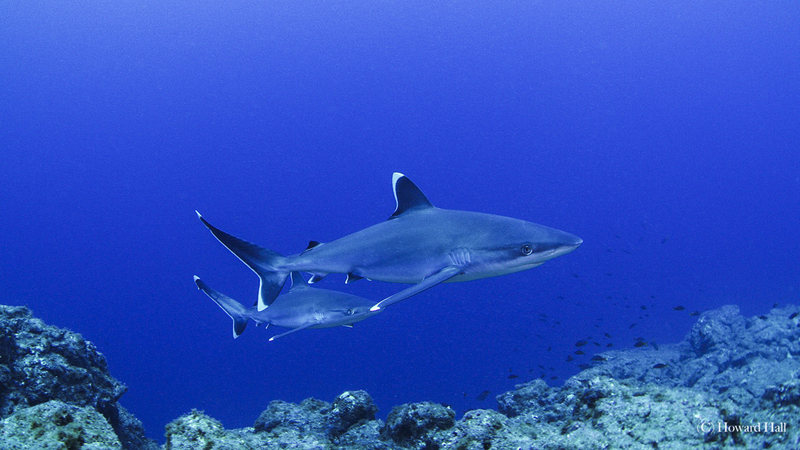 The season might be getting close to an end but in the Socorro Islands the action never ends. Today we had an amazing day at San Benedicto. 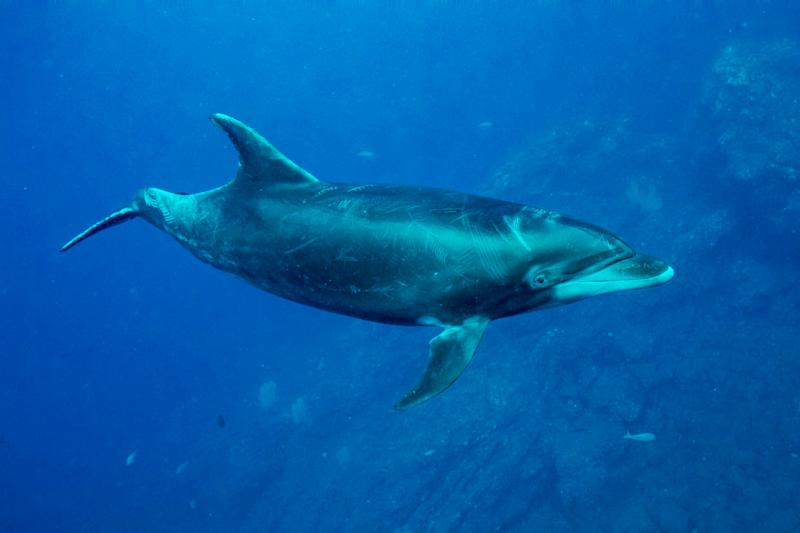 At The Boiler, we started with more than 18 dolphins playing with us the entire dive, then we spotted two huge Galapagos sharks by the diving site, and dived all day with three chevron mantas and one black manta. The day has been great, and our guest are very happy. This year the Boiler has been one of our five-star dive sites. What a pleasure to have a trip with a group of legendary and lovely people. We had some difficult conditions for diving with some spectacular underwater big animal encounters. The beginning of the trip started out with the usual shark and manta action with schooling hammerheads on the very first dive! 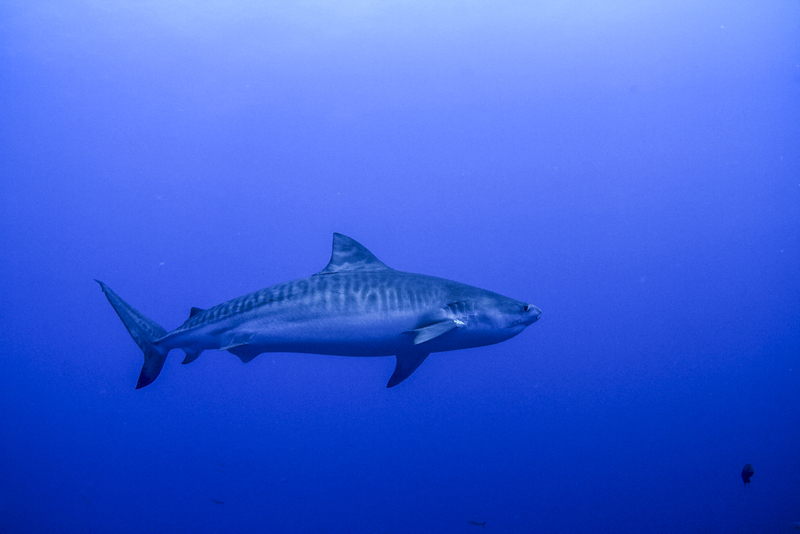 Roca Partida was epic, we had big schools of very large yellowfin tuna along with schools of Galapagos sharks. The last two days at The Boiler were amazing with two whale sharks in two days on multiple dives. One of the whale sharks was escorted by a family of dolphins on the first dive of the day. 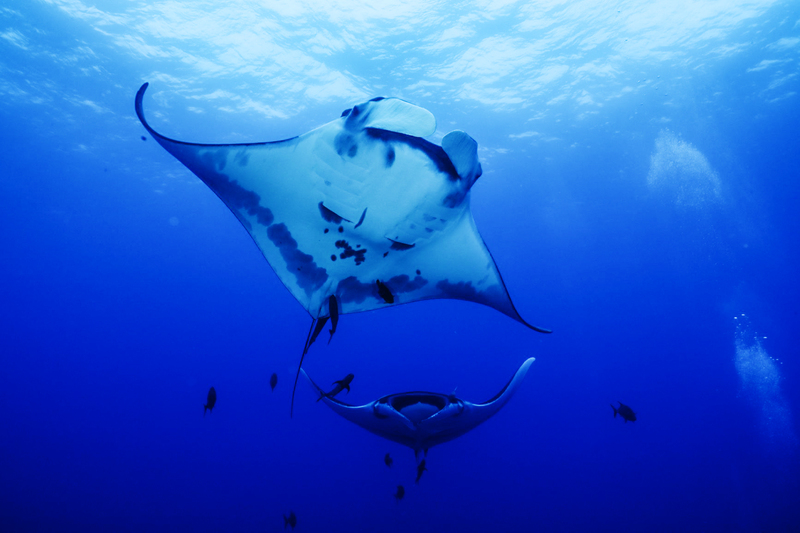 On the same day we could see up to five mantas at the same time on some dives. Every day I am astonished by the diversity of species and sheer biomass that we see out here. One guest told me that when we started the trip he felt like we are truly in the middle of nowhere, and by the end, he felt as if he were at home.